We strive to provide a top notch customer service to ensure your rental experience goes as smooth as it possibly can. 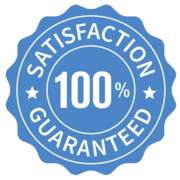 It helps by making sure our customers are prepared and understand the rental process while providing all items needed to make the right decision when it comes to your inflatable rental. After all, we want to make sure our customers are satisfied but in the end, we all know the ones we are really concerned with are the kids. 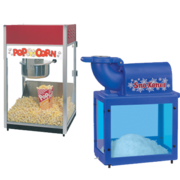 Our team has compiled a few key items to assist our customers in planning your party rental. 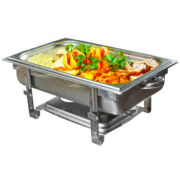 When customers are starting the process of planning for their party the most important phase is knowing what your budget is and how much are you willing to spend on this portion of the party. 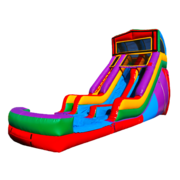 Whether it be in your backyard for your kids, friends, family, or even a company event the budget usually helps when knowing which category of inflatables to start with. 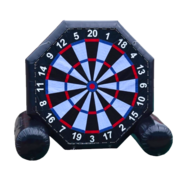 Inflatables can have various price ranges starting at $100 all the way up to $1000 depending on the items, features, theme, size, and functionality. 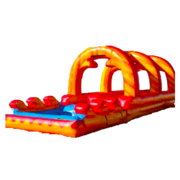 We put together a quick reference guide with a basic range of prices within the different categories of inflatables. Keep in mind, prices are subject to change and do not include tax or any applicable fees which may be associated with your event, see additional fees for additional information. 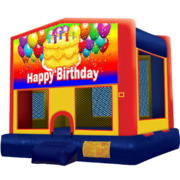 Once you determine out where you are going to have your party or event location it is important to know if there are any restrictions which may affect your inflatable rental. 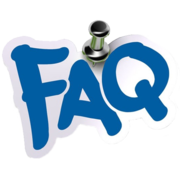 In the restrictions of a location, there are multiple questions you as the renter should answer once you know the location and the specifics. We have a few scenarios to help guide you with your location type. The residential location type may be a single family home or multi-family home, apartment complexes need special permission from the leasing office. 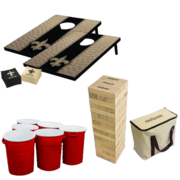 A party at a residential type is one of the easiest ones to plan for since you or someone you know owns the property and have easy access to the setup area to verify its specifications. 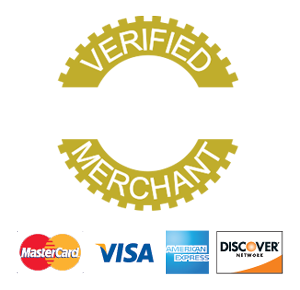 Although it may be the easier of the types, there are still aspects which need to be verified to ensure you have a setup area sufficient for your rental choice. 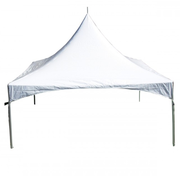 A few quick tips below will guide you along the way to make sure your setup area fits within the inflatable rentals limitations. Is there a power source 115 volts with a 20 amperes dedicated circuit within 100ft of the furthest corner of the setup area? 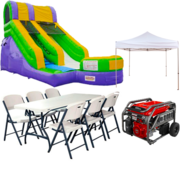 Is the size of the setup area large enough to fit the inflatable rental you are planning on renting? Is the setup area surface an approved surface of either grass, dirt, concrete, or asphalt? Is the setup area free from obstructions overhead, around the setup area, and the ground surface? Is there a clear path accessible and large enough to accommodate the inflatable to be maneuvered to the setup area? Is there the correct number of attendants to supervise the safety of the persons at play during the inflatable rental in operation? Is there a homeowners insurance policy to cover the liability of the inflatable rental while in operation? If this is not your residence, do you have permission to have an inflatable rental at this location? For more information, check out our Setup Area Tips. 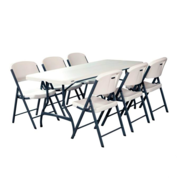 A commercial location type is usually a place of business who are holding company gatherings at their location. Customers having events held at their place of business have similar concerns at a residential customer above. There are a few limitations which may make a change to the setup area. 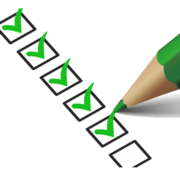 Although they may be the same there are still a few aspects as the company event planner which need to be verified to ensure you have met the criteria for your rental choice. 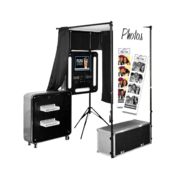 A few quick tips below will guide you along the way to make sure your setup area fits within the inflatable rentals limitations and other criteria are met. Is the setup area surface an approve surface of either grass, dirt, concrete, or asphalt? Is there an insurance policy at the location to cover the liability of the inflatable rental while in operation? 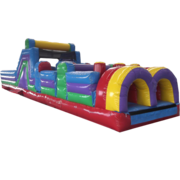 The park and public facility location type has a few extra steps to ensure you are even approved to have an inflatable rental on site. 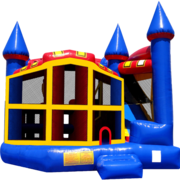 They have strict criteria that must be adhered to at all times and require much more preparation prior to choosing your inflatable rental since it is not located at a place you own but a place you are most likely renting for a period of time. There are a majority of parks and public facilities that require rental companies to comply with their regulations and some do not even allow them at all. Please check with the park or public facility on their inflatable restrictions before choosing your inflatable rental. For more detailed information you can visit our park rental tips to assist in your planning. We have a few quick tips in the meantime to get you started. It can be frustrating at times but we are here to help! Do they allow inflatable rentals on site? Do they require a permit filed and the inflatable company to provide proof of insurance certificate? Do they require the inflatable company to add them to as additionally insured on policy? 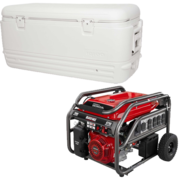 Do they have a power source 115 volts with a 20 amperes dedicated circuit on grounds for your inflatable rental operation? What are the times allowed for you to be on site prior to setup and after for pickup? For more information, check out Park/Public Facility Location Tips. 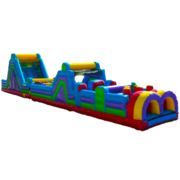 Our customers should be aware of the age group who will be attending the party or event which will help with selecting the correct inflatable rental. 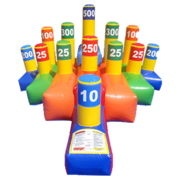 Inflatables are designed for certain age groups and are manufactured with guidelines for age, weight, and total persons while in operation. It is important to be aware of the age group and amount of attending to avoid in selecting the wrong inflatable rental which can lead to safety concerns and ultimately result in an unpleasurable experience. 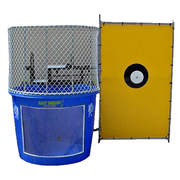 There are some inflatables which are specifically designed for water usage or others are not. 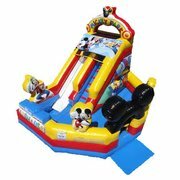 Inflatables that are not designed for water usage can lead to safety concerns and lead to accidents or injury while in operation. 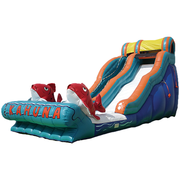 The most popular inflatables for the water usage are the water slides, water games, and dunk tanks while the bounce houses, combos, obstacle courses, and toddlers are not designed for water usage. 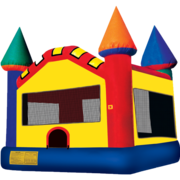 If you are unsure which inflatable to choose to match the type of party and be able to provide a safe atmosphere for your guests please contact us prior to assist in your selection or see our water usage chart. Here is our water usage chart.